Peel a banana and slice it up! Top each slice with our Cookies & Cream Muscle Frosting (you can add extra chopped cookie crumbs if you have some on hand). Melt the chocolate chips in a microwave safe bowl and drizzle over banana slices. 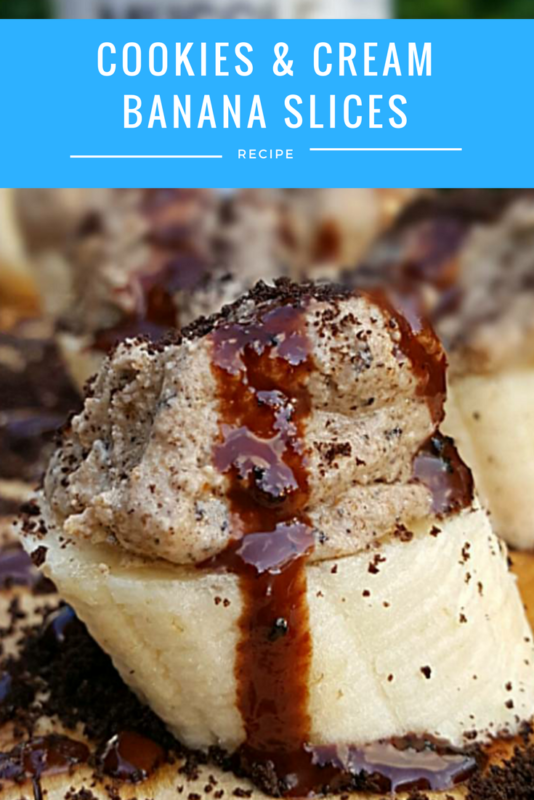 This entry was posted in Recipes and tagged Banana recipes, Cookies & cream, high protein.